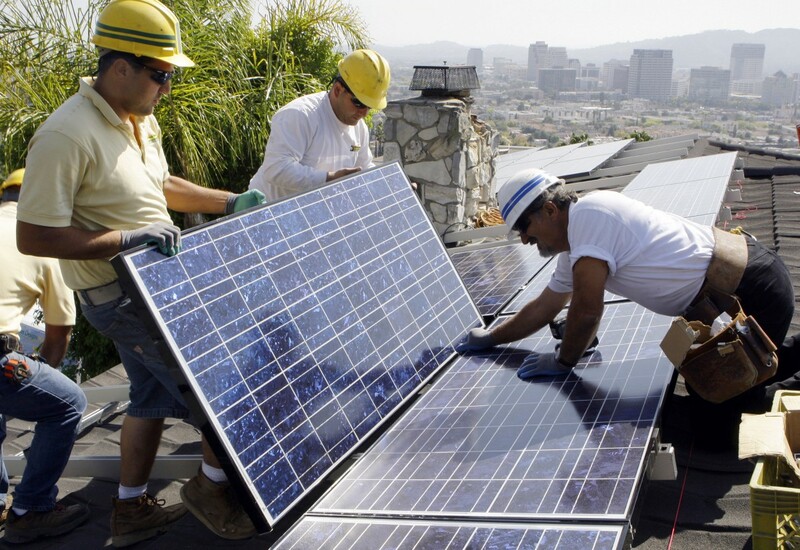 LOS ANGELES CITY COUNCIL BACKS PLANNING FOR 100 PERCENT RENEWABLE ENERGY | "Global Possibilities"
The Los Angeles City Council took a major step Friday toward making the city run on clean energy alone. The Council directed the Los Angeles Department of Water and Power (LADWP) to develop a plan for going 100 percent renewable, including looking at where, when, and how the city should allocate resources to achieve that goal. Before the vote, Krekorian told the council it was an important step for the city in its efforts to help combat climate change. An effort, he added, that can be successful — comparing it to Los Angeles’ efforts to reduce smog when he was a kid in the 1970s. “During the summer, we would have to curtail outdoor activities because of secondhand smog alerts. It is really noteworthy that we have made a lot of progress by then,” Krekorian said. He also praised Los Angeles’ previous efforts to combat climate change, including switching to LED lighting, cleaning up the Port of Los Angeles, expanding electric vehicle use, investing in efficiency, and committing to eliminating the use of coal for electricity by 2025. “Those were all great steps, but the biggest, boldest, most important thing this city can do to improve local air quality and reduce our carbon footprint… is to entirely eliminate fossil fuels as a source of electricity generation in this city,” he said. Although some speakers during the public comment period of the meeting said the council needed to set a firm date on accomplishing the goal, Krekorian argued moving forward with a plan was more effective than setting arbitrary timelines. “What this motion does is set this city on a path not just towards setting that goal but toward achieving that goal,” he said. LADWP will now officially undertake a research partnership with the Department of Energy, local utilities and regulators, and area universities — although work has already begun on the project, city officials said. Councilman Bonin added that addressing climate change is an urgent issue. “Global warming is happening at such a rapid rate — and I represent coastal areas. Part of my district will be underwater by the end of the century” if we do not reduce greenhouse gas emissions, he said.